For over 20 years, Suzanne Kvas has assisted generations of families with estate planning. Her estate planning practice includes everything from drafting wills and trusts to the probate of estates, the administration of trusts as well as assisting families who have children or adults with special needs. 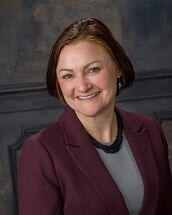 Suzanne has the litigation experience to be an effective advocate in the courtroom if a dispute arises in a probate or trust proceeding. In addition to her estate planning and probate work, Suzanne also has a well-established general civil litigation practice that includes representing insurers on insurance coverage issues and related litigation. She has appeared before and drafted numerous briefs to the Minnesota Court of Appeals and the Minnesota Supreme Court. As a testament to her skills, for the past 15 years her peers have presented her with the highest rating possible, an AV rating from Martindale Hubbell. Suzanne complements her traditional practice in many ways. She has dedicated hundreds of hours of service as a volunteer attorney with the Children’s Law Center of Minnesota, representing children who are in foster care or wards of the state. She lectures at various client seminars and for continuing legal education programs in her practice areas. As a member of the panel of arbitrators with the American Arbitration Association, Suzanne is routinely selected by parties to act as their arbitrator. Additionally, she has completed the extensive mediation training required by the Minnesota Supreme Court. Suzanne is known as a thoughtful and effective legal counselor by her peers and former clients. Suzanne graduated from William Mitchell College of Law in 1987 and practiced for a number of years with Stringer & Rohleder, Ltd. in St. Paul. Before law school, the Sauk Centre native attended the College of St. Teresa in Winona and the University of Minnesota in Minneapolis. Suzanne lives with her family in Eagan, where she volunteers with the Eagan Foundation, Inc. and at her church.